USA Network's 'Real Country' adds celebrity guests | The Music Universe - Pop It Records - NEW MUSIC EVERYDAY! USA Network has announced that its new music showcase series Real Country has added country stars Trace Adkins, Wynonna Judd and Big & Rich as celebrity guests. 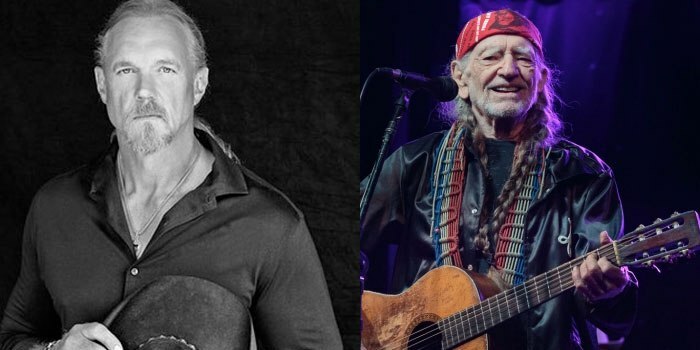 The network also announced a special appearance by the beloved country icon Willie Nelson, and set Graham Bunn – most recently from Southern California’s No. 1 country station, Go Country 105 – as host. Each episode will feature one of the special celebrity guests alongside Real Country’s permanent panel of artists – five-time GRAMMY Award-winning trailblazer Shania Twain, platinum-selling singer-songwriter Jake Owen and GRAMMY Award-winning music legend Travis Tritt. From Wilshire Studios, the eight-part series will premiere Tuesday, November 13th at 10 pm ET/PT, and has Twain, Nicolle Yaron, Stijn Bakkers and Leslie Garvin set to executive produce. Additional celebrity guests will be announced soon. In each hour-long episode, Twain, Owen and Tritt will hand-select emerging solo artists, duos and groups to perform in showcases that spotlight the rich traditions, songs and themes of country music. The best artists from each showcase will perform in a two-hour grand finale, for the chance to be named one of country music’s next breakout acts.